Your vote will help determine the winner. Voting will be open for one week from the time of this post. Comments are open during that time for campaigning. We will announced the winners of the 2019 Theme Park Insider Awards on January 31! If you haven't voted yet, here are our previous votes: Best Roller Coaster, Best Quick Service Restaurant. 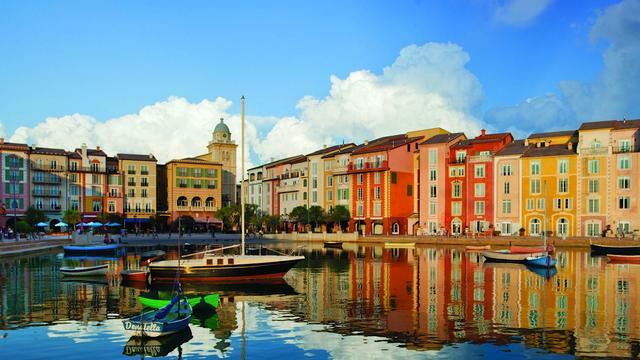 I'm extremely partial to Portofino because I had my wedding reception there. It's got a relaxing and luxurious atmosphere and they even have pet friendly rooms. Also, Universal Express is huge bonus. 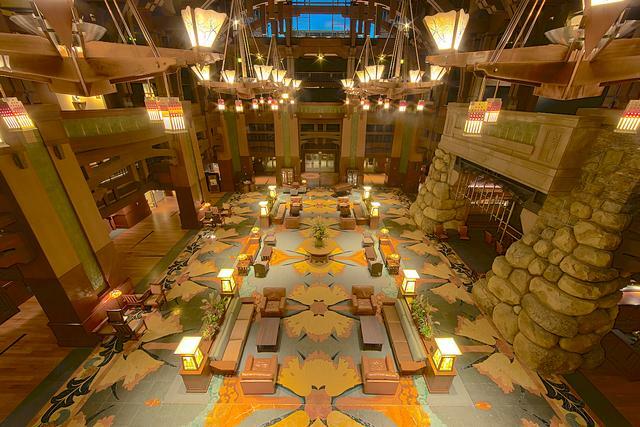 The Grand Californian is also amazing. The fireplace areas are soooo cozy and I love being able to walk straight into California Adventure. 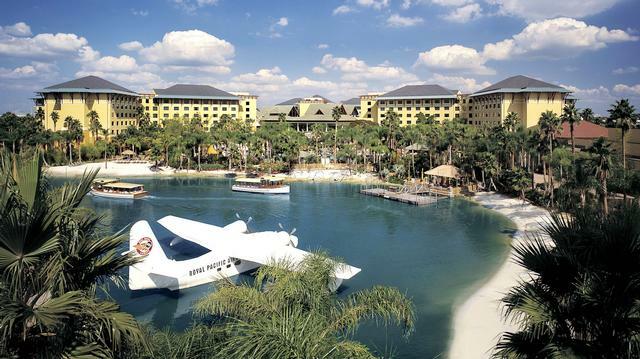 I've stayed at all three of the Universal deluxe resorts, and have to say I enjoyed Royal Pacific the most. Even when price is no object, I still consider costs when comparing resorts in the same category. In this case, PBR and HRH offer many of the same perks of RPR, though HRH boasts a much shorter walk to the parks. However, RPR is consistently 10-20% less expensive than the other 2 without much of a difference in accommodations. Actually, I really like the layout of RPR compared to the long generic hallways of HRH or the meandering and sprawling layout of PBR. In terms of theme and overall ambiance/extravagance, I think PBR is better than the other two with RPR a close second, but we spend so much time in the parks that the hour or so we spend each day at our resort outside of our room is not that important. I can't say that we've stayed at any of the Disney deluxe resorts on this list, but we've been inside all 3, and while they're all gorgeous architecturally, I go back to my value-based roots in placing them below the Universal deluxe resorts because they are all more expensive while lacking the FOTL access you get with the free Universal Express attached to any stay at RPR, PBR, or HRH. One day I hope to have the experience required to vote in this category! Calling any of these all-American options the "world's best" is silly, especially when nominations in each category are only from the review sections of the website. I doubt I'm the only one who rarely visits those pages though I actively interact with this site daily. It is what it is....voted for Grand Floridian though that's not my personal pick for Walt Disney World let alone "the world's" best deluxe on-site theme park resort hotel. I understand the criteria being used, just find it very limiting and not reflecting what most on this site really would nominate. @Dave - At least it's better than the previous procedure, which was to simply anoint the best rated entrant with a minimum number of reviews. At least with this nomination process, it eliminates the bias towards perfectly rated entrants with few reviews. In other words, it makes it more of a popular vote. I think previous iterations of these awards were biased towards European and Asian parks that few people interacting with the site have actually seen. I have no doubt that past winners are more than deserving of their recognition, but I think the bias created by the way the awards were given punished entrants that were highly rated by thousands but carried some negative ratings, which happens with any ratings systems when given enough ratings to create a statistically significant data set. One low rating among hundreds of "10's" would cause a worthy US-based entry to lose to a European entry with just a dozen "10's". For me, it was a toss up between Grand Californian and Wilderness Lodge. GC is spectacular, and having a direct entry into DCA is a wonderful perk. The DVC guest only viewing deck for WoC is also really nice. But the WL is the equal of GC in terms of architecture, and may in fact be even better, plus the overall layout and landscaping of the property makes for an unforgettable guest experience. Sure, you are relegated to busses or boats to get to the parks, but the peacefulness of the resort is hard to beat. Of the Uni resorts, we have only stayed at Royal Pacific, and its OK but we didn't find it to be anything special. Now, if you were to expand the list, I would say that the Disneyland Hotel at TDL would also be a strong contender. I've visited all but the Grand Californian, but stayed at none, so no vote for me again :( If I was to pick a favourite, it would have to be the Grand Floridian ... the sheer ambiance is a true delight, especially at Christmas. I really like the Polynesian as well, but it didn't even make the list ?? Oh ... and while we are on Disney 'stuff' ..... just heard that Disney is going to stop giving out free chocolate samples (via the greeter) at Ghiradelli's ... Shock Horror !!!! Here is the link for Hotel MiraCosta, so that we can get enough votes for that hotel to include it reasonably in consideration next year. And, by the way, the categories will begin to get much more international from here on out. I voted for the Wilderness Lodge. Stayed there for the first time in 2017 and was surprised at how much I found myself in love with it. I've stayed at all but the Grand Floridian on this list and the appeal of The Wilderness Lodge has me wanting to go back more than any of the others. It is kind of hard to pick. 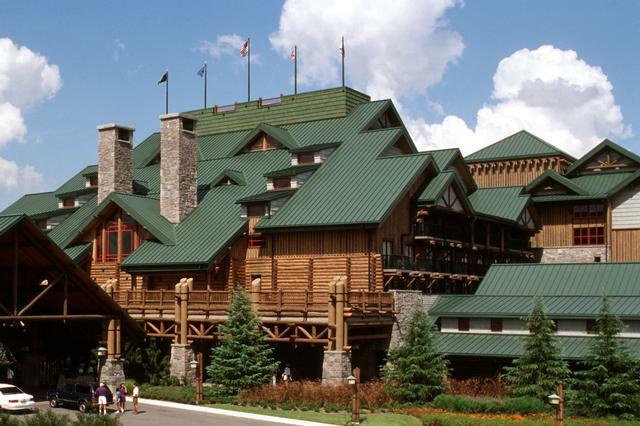 As a straight hotel, it would be the Wilderness Lodge. 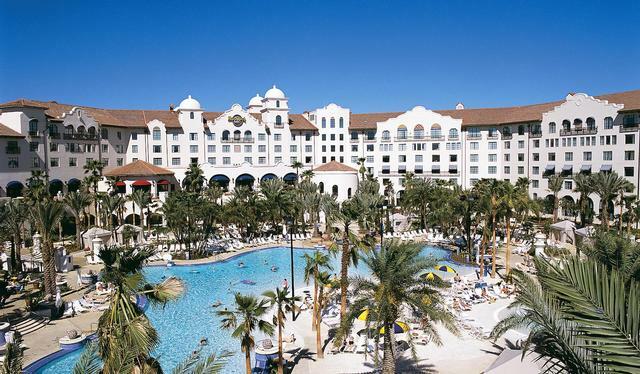 I love the restaurants, the pool, the grounds, and the overall hotel in general. As a theme park hotel, it gets much more difficult. The California is very similar to the Wilderness, yet it is much, much closer to the parks. I love the three UO hotels, but the pools and restaurants are not as good, but as a theme park hotel, they are close to the parks, and the Unlimited Express Pass is the greatest thing made on the earth since Nutella. If I were just voting on a hotel by itself, it would be the Wilderness Lddge. As a theme park hotel, it might have to be the Royal Pacific. Hard Rock is the only Universal one I've stayed at and did enjoy it. Went with Wilderness as always loved its layout and locale. That "stream" from the lobby to a raging waterfall is fun and really does stand out nicely. Just amazing choices all around so harder to figure out.